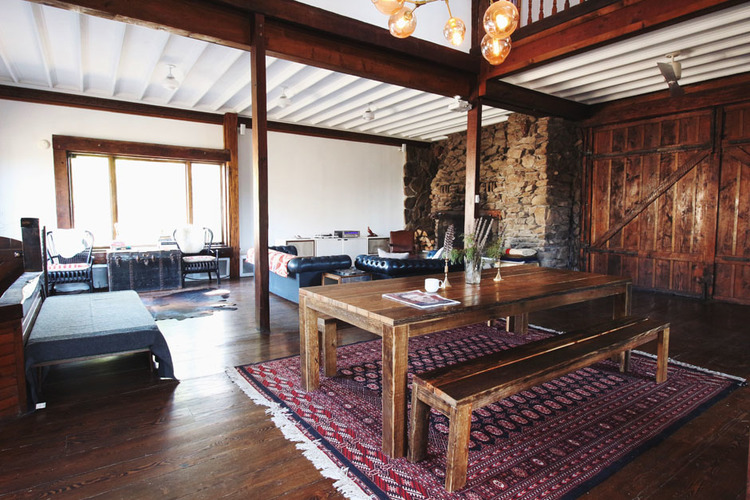 Other Listings — Country House Realty: Fine Catskills and Upstate New York real estate, including Sullivan Co. and Ulster Co. I regularly sort through hundreds of listings on the Sullivan & Ulster Co. MLS, and here are a selection that have features or potential that I find compelling (yes, this is a completely subjective list). 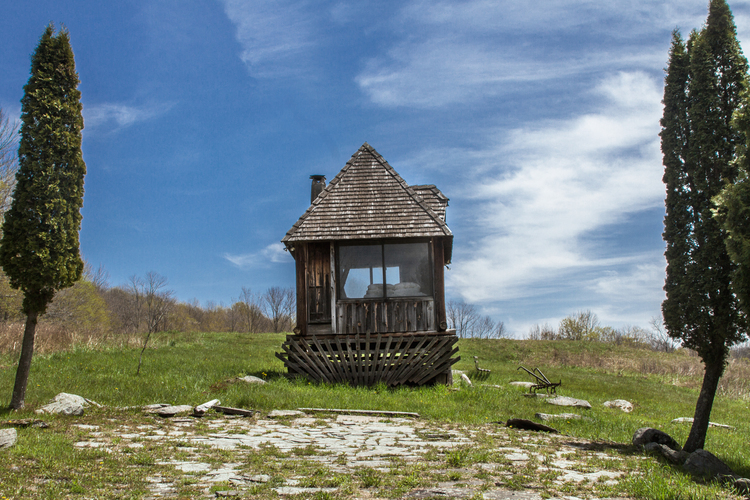 Some may need serious renovation, but may have pleasing lines and/or an attractive location. With others, it’s all about the land. I have seen many of these properties and would be happy to provide additional information, so feel free to drop a line or give a ring. New properties are added regularly, so you may want to bookmark this page. Click here for our Listings. Renovated dairy barn, popular vacation rental, Milk Barn is for sale. Hankins, NY. 749,000. Taxes $11,792. This phenomenal property has the main house (above): 3 bedrooms, 3.5 baths. There are 2 stone fireplaces inside, and one out, and a lovely swimming pond. Please inquire for full details. It has been a very popular vacation rental via our sister company, Red Cottage Inc., and locations venue. Please inquire for full details. There is also a one bedroom Studio (with shower and sink), and a one bedroom Guest House (with cool fireplace, but no plumbing). Please inquire for full details. Contemporary lakefront 5 bedroom in enchanting Merriewold enclave, awash in exciting amenities. Forestburgh, NY. $1,500,000. Taxes $36,191. The current owner fully renovated the home in 2005 adding soaring ceilings of tongue and groove reclaimed redwood from NYC water tanks. Master level has private gym, office and custom mahogany cabinetry. There is a roof deck, and three-story elevator. The twenty-eight foot floor to ceiling windows overlook 3.75 secluded acres with serene views of pond and lake. 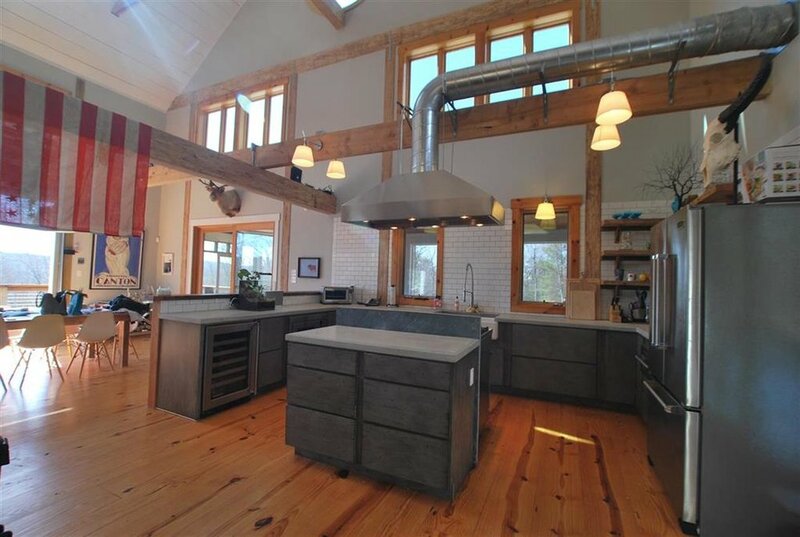 Big Barn house with 4 car garage featuring upstairs yoga studio. 3 story home with decks, endless indoor pool, wine cellar and 2 fireplaces.